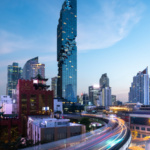 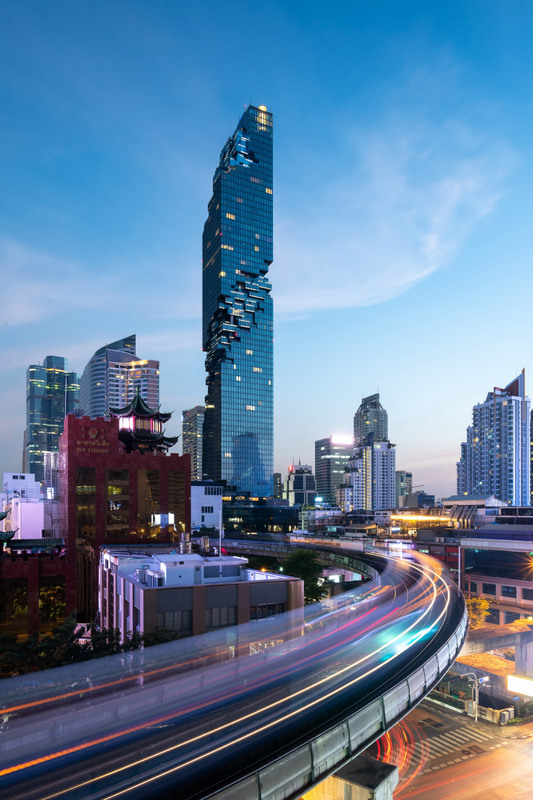 Bangkok, Thailand, has added a sculptural topper to its skyline with the completion of the MahaNakhon (which means “great metropolis” in Thai), the tallest building in Thailand. 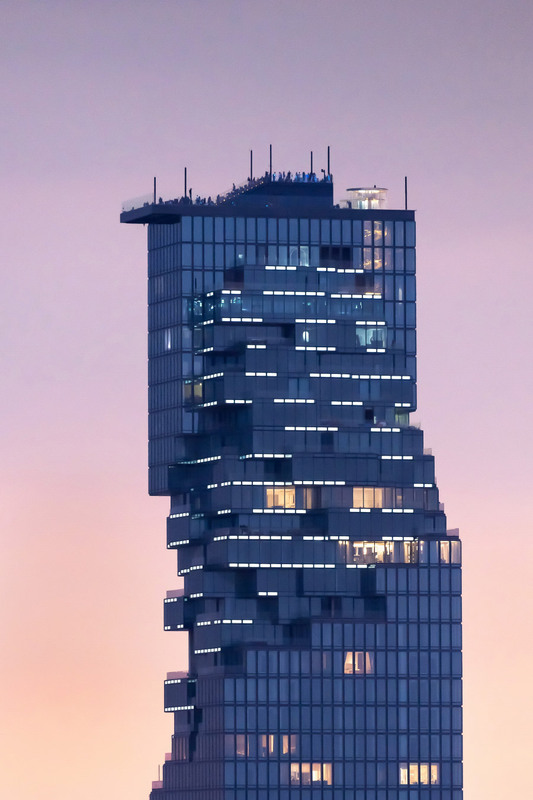 The local branch of international studio Büro Ole Scheeren designed the 1,030-foot-tall tower, a glassy spire with a distinctive “dissolving” cutaway that spirals up along the length of the building. 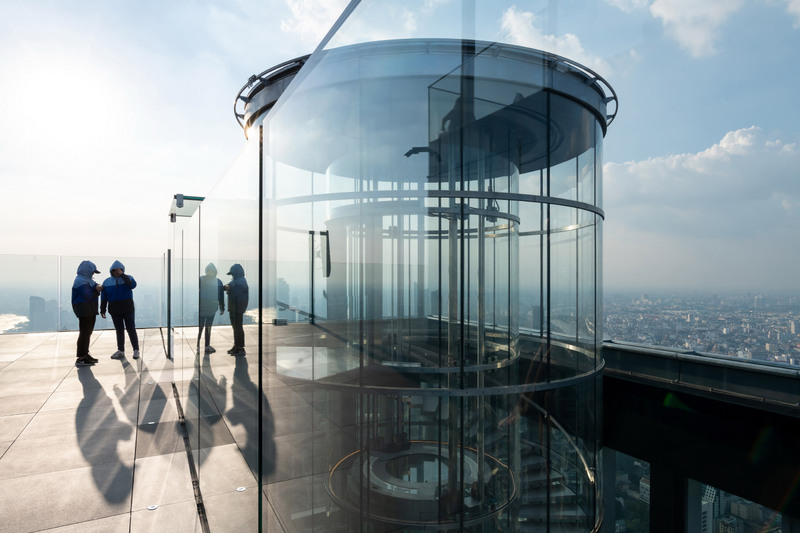 With the completion of a glass-bottomed observation deck at the very top of MahaNakhon on November 26, the 77-story tower is now officially open to the public. 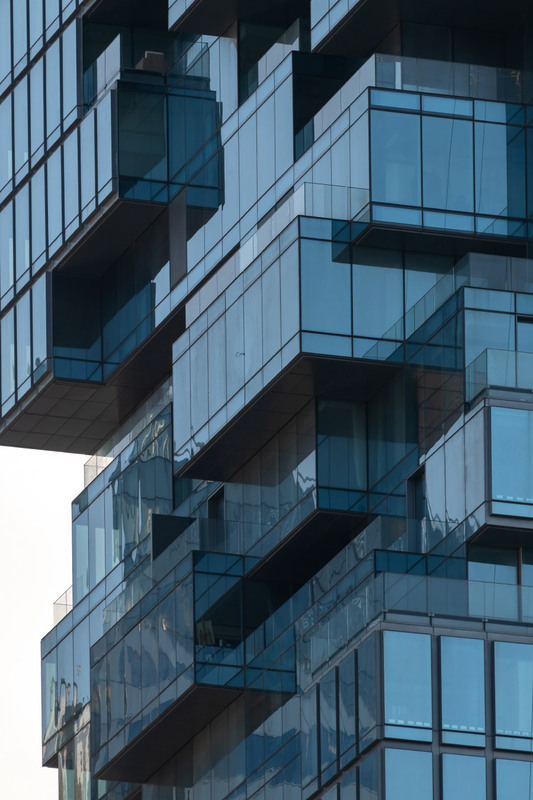 The distinctive cut that snakes around the building gives it an unfinished appearance from a distance, but reveals planted terraces, balconies, and cantilevering living rooms when viewed in detail. 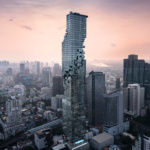 Scheeren has described the gesture as an “erosion” of the typical rectangular form that’s meant to blur the boundaries between the interior spaces and Thailand’s tropical climate. 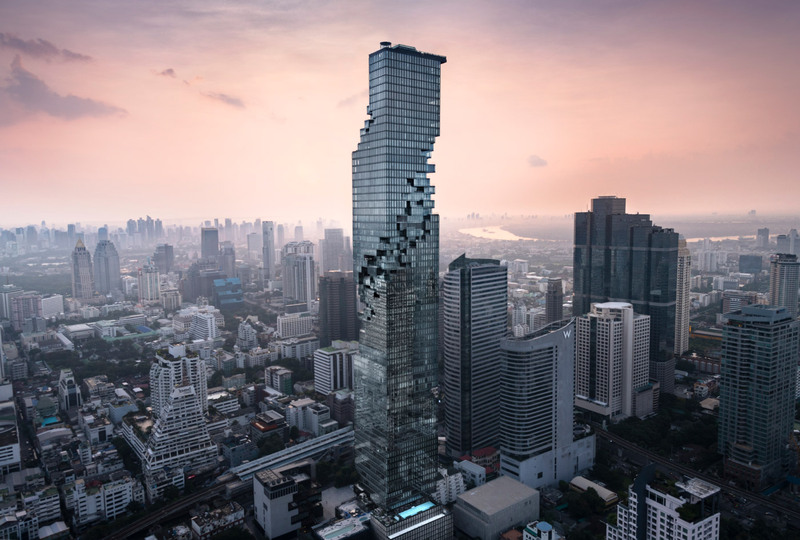 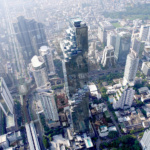 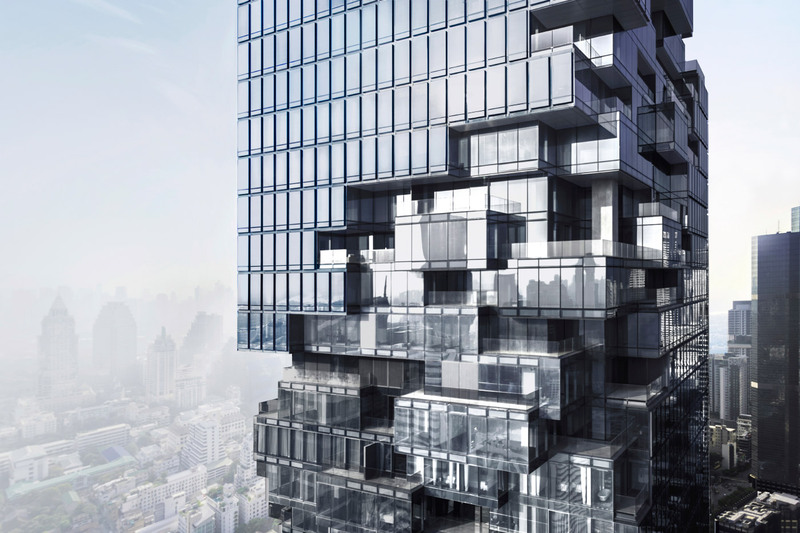 The 1.6-million-square-foot MahaNakhon features a bit of everything in its programming, including 200 high-end condo units, 150 hotel rooms, cafes, restaurants, and retail space located at the landscaped MahaNakhon Square at the tower’s base. 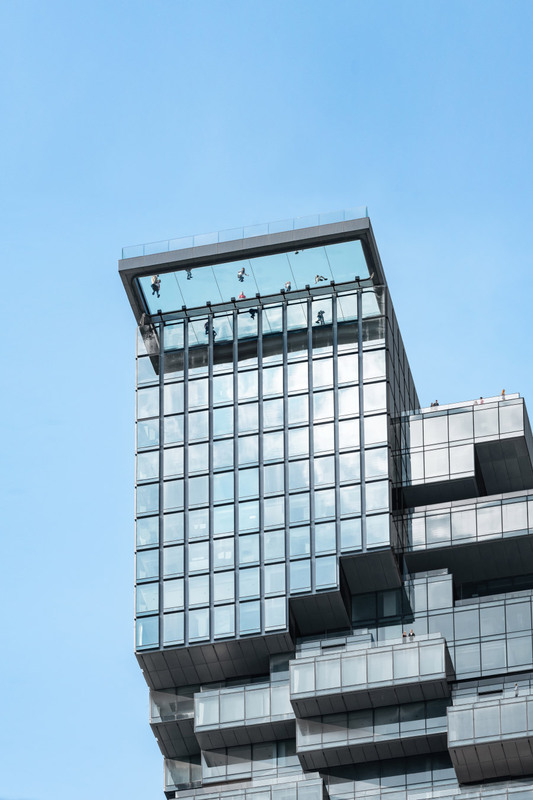 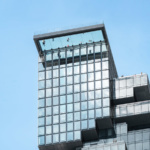 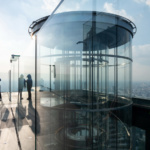 The crown jewel of the glass-clad building is the “Skytray,” a 15-foot-by-57-foot glass observation deck more than 1,000 feet off the ground. 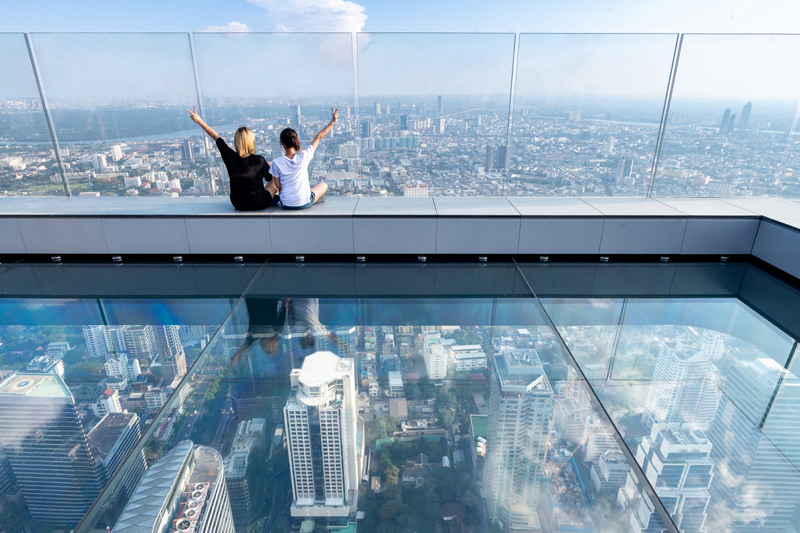 Visitors will be able to check out the entirety of Bangkok (and beyond) thanks to the tower’s unobstructed height. 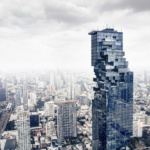 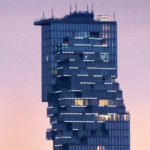 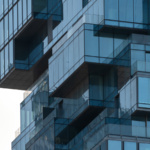 Towers with “pixelated” cutaways have been gaining in popularity in the last few years, and the Bjarke Ingels Group (BIG) in particular has continued to experiment with the form. 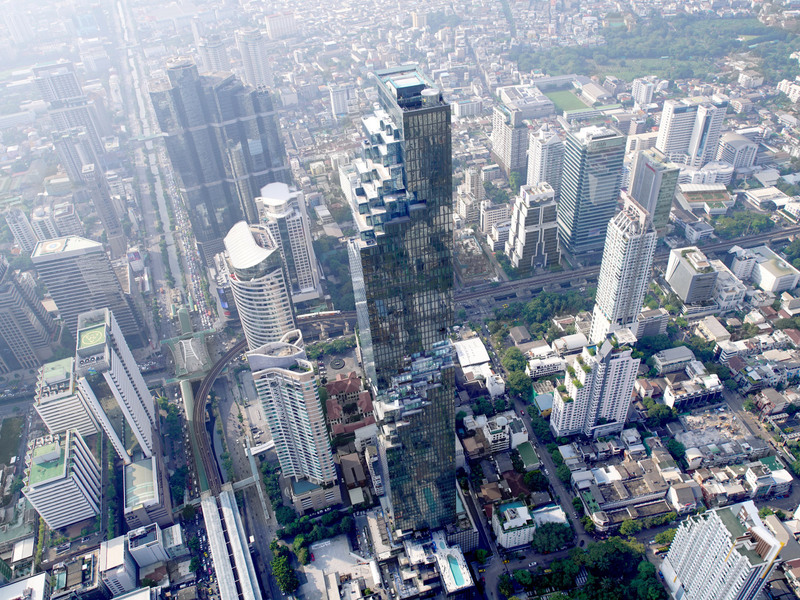 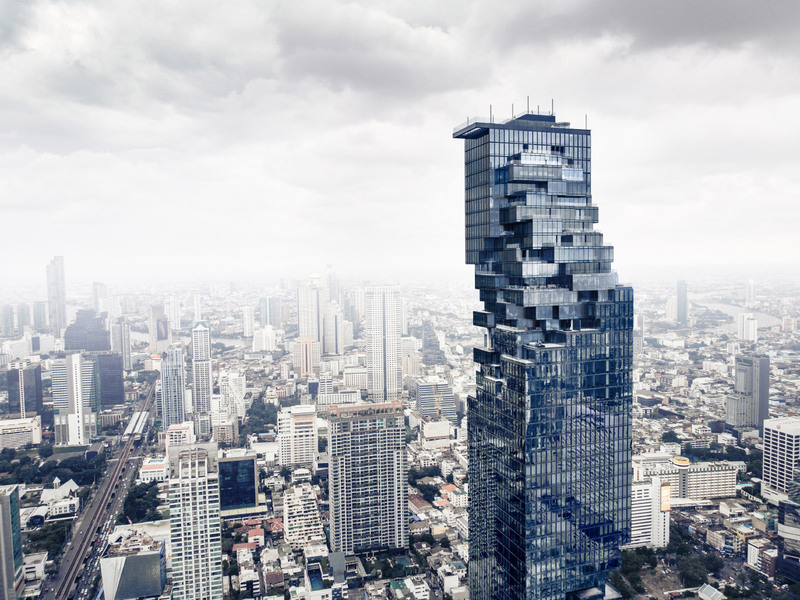 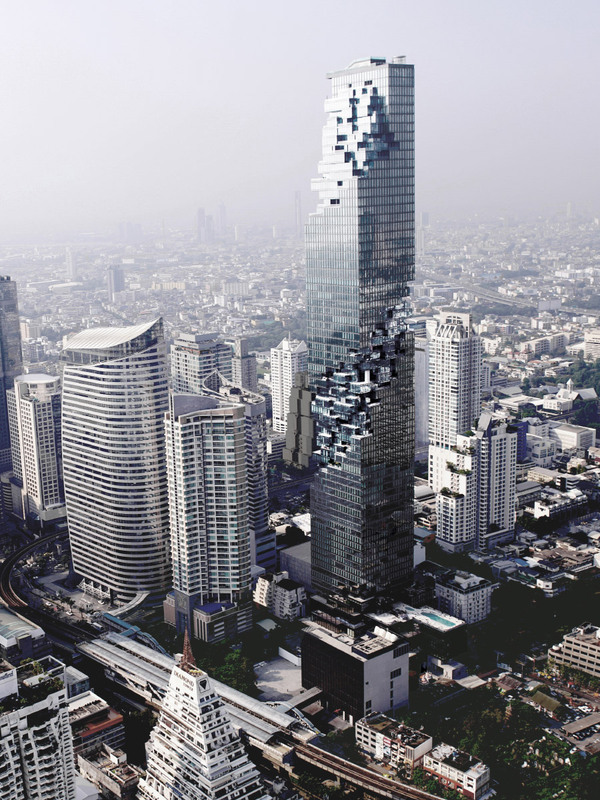 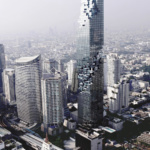 MahaNakhon may have beat BIG’s Spiral to the party though, as the Thai tower was originally commissioned in 2008.